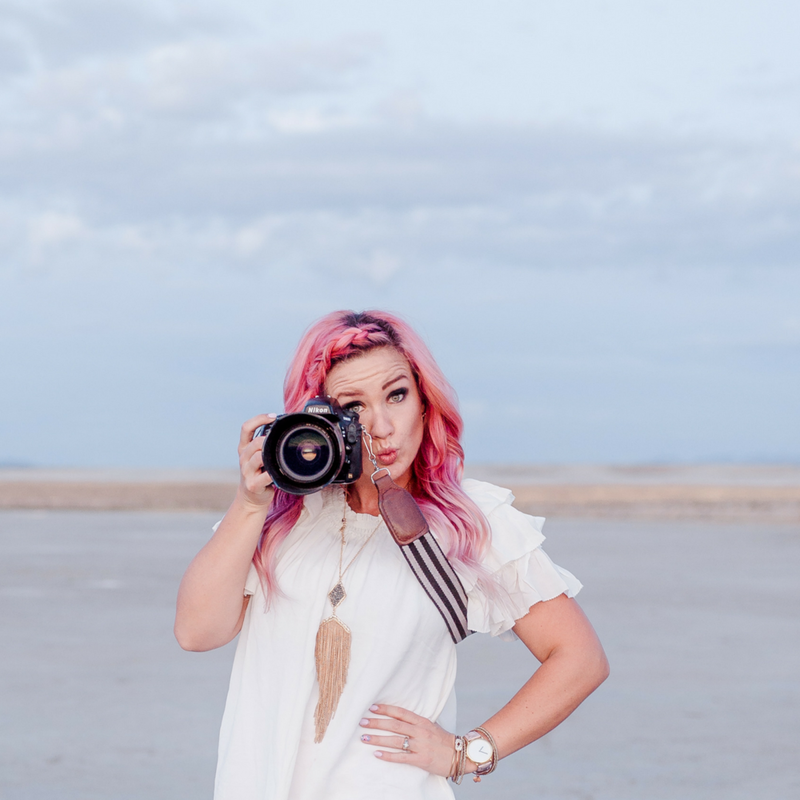 Of all the joyfully infectious, lip-sync loving, pink-haired wedding photographers, McKenzie Deakins is my favorite. And I have a sneaky suspicion she’s about to be yours, too! Which is why I’m SO incredibly excited to share her beautiful energy and heart and her story (including the untold parts) with you. She’s been making magic photographing weddings for over a decade now. So, she knows a thing or two and has been around the metaphorical block enough times to have seen a lot change. The real reason you’re going to love her, though? She has this beautiful way of making you feel totally seen and wildly excited all at the same time. She adds a dash of sugar and excitement to everything she does and yet, she keeps it incredibly real. So, grab a coke (McKenzie’s favorite) and get cozy. How her Instagram famous lip sync videos first started!! McKenzie Deakins has been shooting weddings since 2005. She loves to share her passion for photography by teaching! She enjoys shooting weddings, taking beautiful pictures of beautiful people and making Lip Sync Videos, but her goal in life is to teach! McKenzie is a Wife to Greg Deakins and mom of two stinking cute kids - Ellie and Harrison Danger. And yes, his middle name is Danger. McKenzie believes there is nothing better than a cold coke, that Disneyland is the greatest place on earth, and likes to add 'licious' to the end of words to make them fabulous.